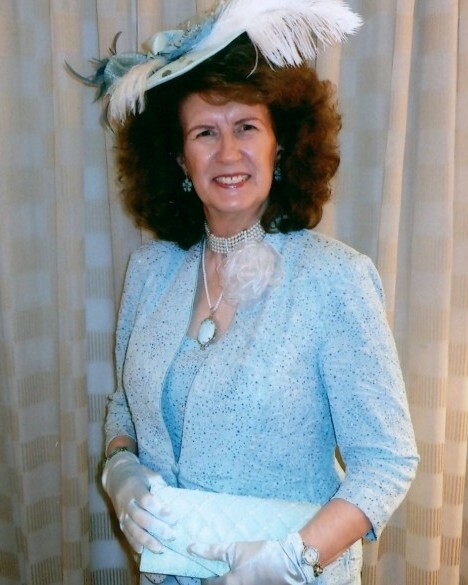 Lady Marlene Faye (Yekel) Stephens, 72, of Caldwell, Idaho, went to be with her Lord and Savior, Jesus Christ, on Friday, August 17, 2018. She succumbed to the accumulated effects of Squamous Cell Carcinoma of the tongue at her home surrounded by her ministering angels and her care-giver, husband of 46 years, Rodney Daryl Stephens. Under the direction and care of Alsip and Persons Funeral Chapel, 404 10th Avenue South, Nampa, Idaho 83651, a one hour viewing will be held on Friday, August 24, 2018 at 10:00 AM, followed by a funeral service with Prophet R.D. Stephens officiating beginning at 11:00 AM. The family requests no cards or flowers be sent. Lady Marlene was born on July 20, 1946 to Herbert and Viola Yekel at their family farm in Mitchell, Nebraska. Marlene was delivered by her Army Medical Nurse father and spent her formative years helping out on the farm and going to school in Mitchell, where she later became well-known as a school cheerleader. Upon the passing of her Maternal Grandmother, Anna Mathilda Swanson, the Herbert Yekel family relocated to Caldwell, Idaho in 1960, at the urging of Marlene’s uncle, Dave Yekel. Once their home was built in 1962, overlooking Lake Lowell, Marlene finished her schooling at Vallivue High School. She took great care to emulate Jesus Christ as she fulfilled the role and duties of school Chaplain, to which office she had been elected. She was the first graduate of Vallivue High School and upon graduation in 1964 started working for Idaho Department Store (IDS), General Office, in downtown Caldwell. She always had a love for people of all types, colors, and classes, but working for the IDS gave her a new love for modeling clothes, which she did throughout her life. In 1968, Marlene and her sister, Pam, moved from Caldwell to Silicon Valley, California, where Marlene started working for several car dealers. In 1972, she met and married her husband, and together they shared a passion for serving Afternoon Teas to friends and family in their home. They also shared a passion for visiting their home away from home in Victoria, B.C., every year, for over 30 years. Marlene accepted Christ as her Savior at age seven and displayed Christ’s compassion and love for people everywhere she went her whole life long. Wherever she went in life, she made friends, both small and great and knew everyone on a first name basis – from Presidents or CEOs to the janitors of many top companies in the Silicon Valley. Her emulation of Christ was so visible to everyone around her, that she earned the moniker of “Mary Poppins,” because she was so practically perfect. She modeled electronic equipment for several top companies in Silicon Valley and also enjoyed her duties as an Executive Administrative Assistant. Marlene always upheld her Christian values regardless of any negative impact it may have had on her. Marlene and her husband retired in 2002, after she was involved in a near fatal car crash while visiting her father in Caldwell. They both then devoted their time and energies to an Afternoon Tea Ministry in their homes in Nampa and Caldwell. Marlene also devoted much of her time and energy to her special Greeting Card Ministry to family, friends, and acquaintances. Marlene was preceded in death by her mother, Viola Vivian (Swanson) Yekel, her father, Herbert Yekel, numerous aunts and uncles, as well as, her beloved pet toy poodle, Nikki. Survivors include her husband of 46 years, Rodney Daryl Stephens; her sisters, Judene (Greg) Esplin of McCall, ID, and Pamela (Steve) DeVeaux of Redding, CA; her brother, Eldon (Cathy-Anne) Yekel of Rio-Vista, CA; Angel Sister and Angel Brother, Pancy (Jifan) Pan of Mountain View, CA; Angel Sister, Joanna Yee of San Mateo, CA; Angel Sister, Helen (George) Shu of San Jose, CA; and Angel Sister, Barbara Kalkis of San Jose, CA.